Don’t count Trevor Noah among those giving “thoughts and prayers” to the victims of Sunday’s Las Vegas mass shooting. No, the “Daily Show” host avoided what he finds to be an empty and predictable offer. Roll exactly that footage from Fox Business Network and White House Press Secretary Sarah Huckabee Sanders. With that in mind, lawmakers can keep their thoughts and their prayers, the South-African comic said. 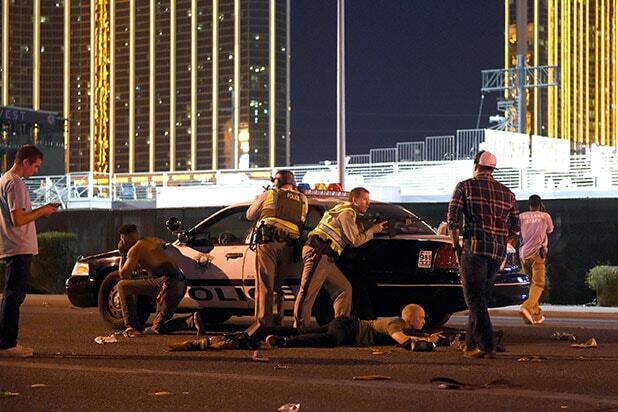 On Sunday, 64-year-old Stephen Paddock opened fire from his 32nd floor hotel room at the Mandalay Bay casino, shooting down at the Harvest 91 country music festival during Jason Aldean’s headlining set. At least 59 people were killed, and more than 500 wounded. When police breached the room, they found Paddock dead from what appeared to be a self-inflicted gun wound. More than 10 rifles were found in the room, and almost twice as many more guns in Paddock’s home. Las Vegas cops also discovered explosives in the retiree’s 2,000 square-foot house. There is currently no known motive for the massacre. Watch Noah’s response via the video above.